Writings of St. Nicholai Velimirovic- 88 pgs. 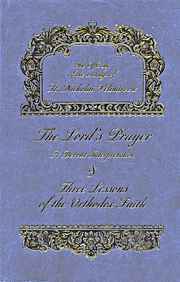 These inspiring writings take us deep into the meaning of each utterance of the Lord’s Prayer. Living and vibrant spirituality recorded by this wonderful and brilliant bishop of the Serbian Church.